us to realise His within and without. No matter how deep our understanding of karma may be, actually applying our understanding of karma to the events in our daily life can still be a challenge. Why is this? Our humanness gets in the way; our ego is challenged and we react to preserve our self image; our emotions are stirred and we respond impulsively, without intellectual reflection; our attitudes are prejudicial against certain religious or ethnic groups and we feel justified in striking out at them, because they are not "our people." How can such human weaknesses be overcome? By Shraddha and Saburi ! By uncondiional and selfless Love ! "Sab ka Malik ek" –There is but one master for all. to bring about this wisdom among all his devotees. do not receive alms from the Lord. like Valmiki and Azamil who were worse than us. and became great and immortal. well enough to forgive us ours. "If you look at me I look at you." For the noise I have to bear from my neighbours, because it means that I can hear. For the husband who snores all night, because he is at home asleep with me and not with someone else. For my teenage daughter who is complaining about doing dishes, because that means she is at home & not on the streets. AND FINALLY.......for too much e-mail, because it means I have friends who are thinking of me. In our daily life of cultivation I always believe there is always at least one positive side on every negative matters that occurs to us. If one day you beat me up, shall I beat you back? Think positively and get less trouble today. It is realized that Lord's name is more powerful, effective and Significant than His form. Indiscipline shatters the progress of an aspirant. Spiritual path is like walking on a razor's edge. An aspirant must be very careful and highly disciplined. ..
"I am the thread that runs through all these pearls, and each pearl is a religion or even a sect thereof. Such are the different pearls, and God is the thread that runs through all of them; most people, however, are entirely unconscious of it". - Swami Vivekananda. 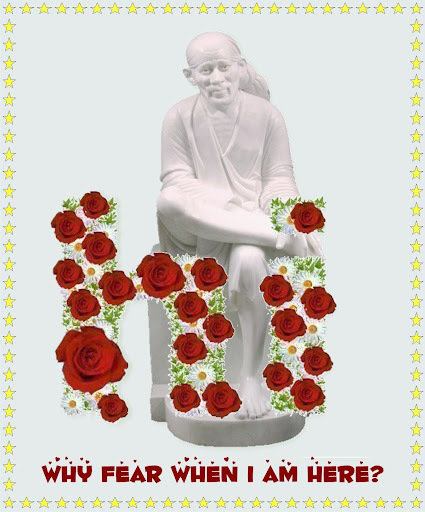 This was our Sai's gospel too "Sabka malik ek". Page created in 0.341 seconds with 64 queries.